Now calculators built into many gadgets. But when you do not have any of them, rescue the most simple skills. Sharing area, not only with pencil and paper, but a twig on the ground or a finger in the sand. Division by a single-digit number without remainder - the simple case for divide area. For example, divide 536 by 4. To do this, write them side by side on one line, and not to mix, put between them the area. Under the horizontal line will write the quotient or result of division. First, divide the first digit of the dividend, that is, 5 to 4. Write below the line 1, under five - four and subtract from the first second. The difference record at the bottom. Next to it write the next figure of the dividend, which is 3. It turns out 13. Divide by 4, the result - three - write the right and balance again carry down. Transfer to it the last digit of the original number, you get 16. Divide by 4 and record the four last digit of the answer. It turned out that one-fourth of the 536 is 134. 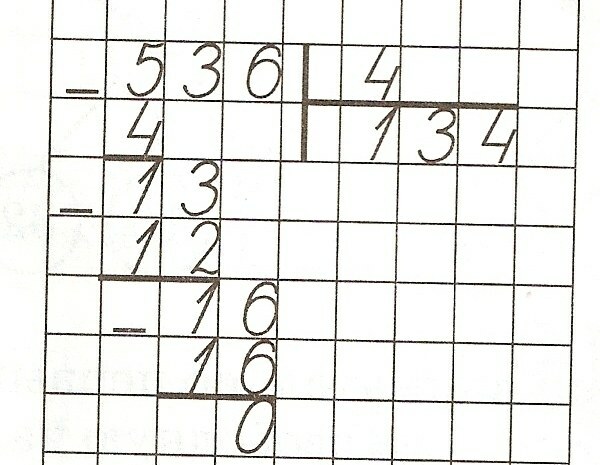 To check the result, multiply the column 134 and 4. Work 536. If the check failed, look for error in the transference of numbers when dividing by the area. Division round numbers is fundamentally no different. Just before the beginning of the division get rid of the extra zeros. By such means the digits that are in both numbers. For example, if it is necessary to divide 371000 700, before dividing by the area cross out the last two zeros in each number. That is, divide by 7 3710. It is necessary to cross out exactly the same number of zeros, otherwise the result is incorrect. When dividing proper fractions do the reverse operation: add orders in the dividend to correspond to the divider. For example, if you divide 5 by 16, then add one zero. If 5 should be divided into 160, then add two zeros. But don't forget to put a full stop and the same number of zeros in the private. In the first case, the response will start with tenths, the second hundredths with. In other words, the division area is the simplest way to correct the fraction to a decimal. The polynomial is the algebraic sum of the products of numbers, variables and their degrees. Conversion of a polynomial usually involves two types of problems. The expression is required to either simplify or factorize, i.e. to introduce it into the product of two or more polynomial or single term of the polynomial. To simplify a polynomial, give similar terms. Example. Simplify the expression 12ax2–y3–6ax2+3a2x–5ax2+2y3. Find monomials with the same literal part. Fold them up. Note the resulting expression is: ax2+3a2x+y3. You have simplified a polynomial. In problems that require the decomposition of a polynomial into factors, determine a common factor of the expression. To do this, first remove the brackets the variables that are part of all members of the expression. Moreover, these variables should have the lowest index. Then calculate the greatest common divisor of each of the coefficients of the polynomial. Module the resulting number will be the coefficient of the total multiplier. Example. Decompose into factors of the polynomial 5m3–10m2n2+5m2. Remove the brackets m2, since the variable m is included in every member of this expression and its smallest index is two. Calculate the coefficient of the total multiplier. It is equal to five. Thus, a common factor of this expression is equal to 5m2. From: 5m3–10m2n2+5m2=5m2(m–2n2+1). If the expression has no common factor, try to decompose it by grouping. To do this, combine into groups those members who have common multipliers. Take out a common factor of each group in brackets. Remove the brackets have a common factor of all the formed groups. Example. Decompose into factors of the polynomial a3–3a2+4a–12. Make the group as follows: (a3–3a2)+(4a–12). Take out of the bracket common factor a2 in the first group and a common factor of 4 in the second group. Hence: a2(a–3)+4(a–3). Move the brackets the polynomial a–3, we get: (a–3)(a2+4). Therefore, a3–3a2+4a–12=(a–3)(a2+4). Some polynomials are decomposed into factors using formulas of reduced multiplication. To do this, bring the polynomial to the desired form by way of grouping or making the brackets a General multiplier. Next, apply the appropriate formula of the reduced multiplication. Example. Decompose into factors of the polynomial 4x2–m2+2mn–n2. Combine in brackets the last three members, while the brackets move to -1. Get: 4x2–(m2–2mn+n2). The expression in brackets can be represented as the squared difference. Hence: (2x)2–(m–n)2. This is the difference of squares, so we can write (2x–m+n)(2x+m+n). Thus, 4x2–m2+2mn–n2=(2x–m+n)(2x+m+n). Some polynomials can be decomposed into factors by the method of undetermined coefficients. So, every polynomial of the third degree can be represented in the form (y–t)(my2+ny+k), where t, m, n, k – numerical coefficients. Consequently, the task is reduced to determining the values of these coefficients. This is done on the basis of this equality: (y–t)(my2+ny+k)=my3+(n–mt)y2+(k–nt)y–tk. Example. Decompose into factors of the polynomial 2a3–a2–7a+2. From the second part of the formula for polynomial of the third degree make up the equation: m=2; n–mt=-1; k–nt=-7; –tk=2. 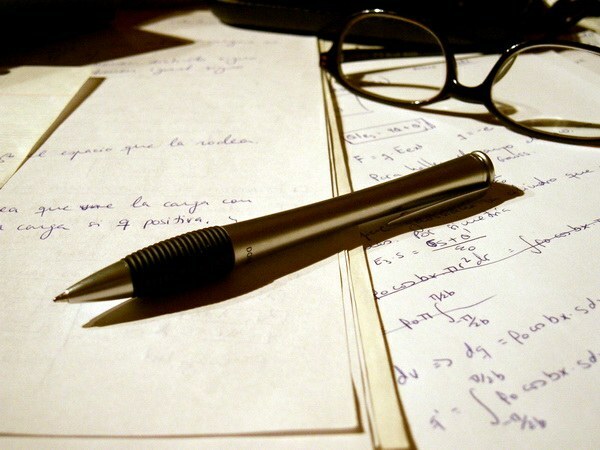 Write them down in the form of a system of equations. Solve it. You will find the values for t=2; n=3; k=-1. Substitute the calculated coefficients in the first part of the formula, we get: 2a3–a2–7a+2=(a–2)(2a2+3a–1).